Just when you think you know all there is about a cob, you find out it knows a kernel more about you! In fact eating good old corn on the cob can be one of the most self-revealing things you ever do. Forget the Freudian theories, just serve up a pile of corn and watch how everyone goes at it. Eating attack styles will tell you more than you ever wanted to know about personalities. It’s all in the technique. Our not-so-highly refined corncob analytics tell us there are three basic categories that we all fall into. The first are those who chow Typewriter-Style; next we have the Roundy-Rounds; and then finally we have the Random-Chompers. The Typewriter-Style eaters generally peck across the rows, left to right (unless they’re a southpaw and then maybe it’s the opposite). These are the systematic, meticulous folks who are logical, left brained and linear. No doubt, these are the people who help keep the world on the straight and narrow. Next we have the Rotaries (aka Roundy-Rounds), who spin their ears and eat all around the cob. These folks are the right brained, creative, intuitive bunch. They add imagination, artistry and style to our lives. Last of all we have a more aberrant data point, the Random-Chompers. This is the cob that looks like it has been impulsively attacked from all sides, no doubt searching for the best bites. This is the random, excitable, chaotic personality that brings wonder and endearment to our day. Children often fall into this beloved category and many “won’t grow up” adults too. Next time you husk those ears, watch carefully for these tell-tale techniques. 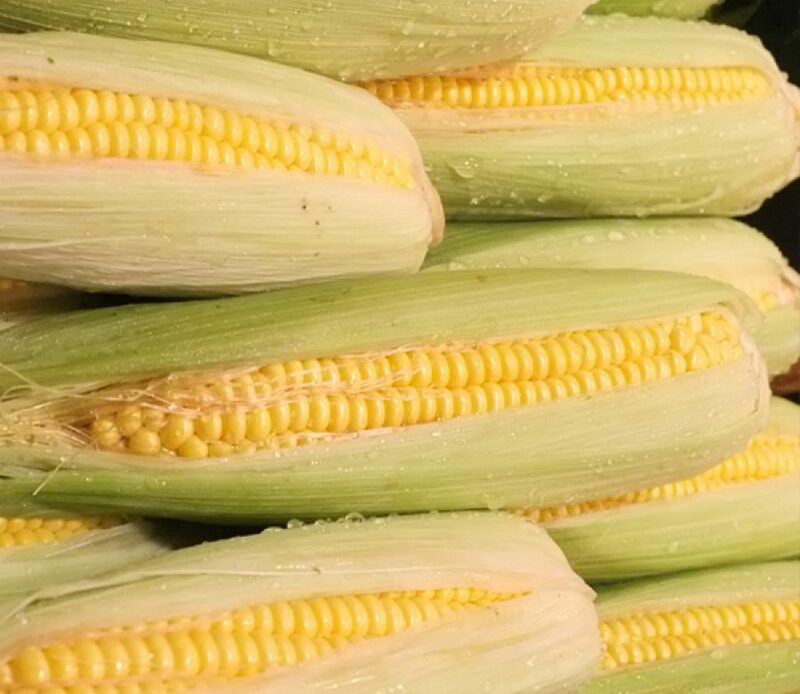 Once you eat it, corn in its unrefined form has much to deliver in terms of nutrition. It specializes in vitamin C, A and thiamin and delivers lots of potassium to help control blood pressure. It has a high-fiber content and lots of good folate; it also has important antioxidants and lots of amino acids providing protein too. Beyond that, by its nature, corn is incredibly diverse. It is considered a vegetable when it is fresh, sweet and young; it is considered a starch when it is more mature and dried, like hominy or polenta; and it is considered a sugar when it is highly refined like corn syrup.